What sources do you refer to for pump information? Gas, Oil & Mining Contractor Mag. Please send me a copy of the "Pumps for Industry"
"Our company has been working with Lohre & Associates for more than thirty years. I have personally been working closely with Chuck and his staff for the last eight+ years. Our product is high end capital process equipment which is marketed to the Chemical, Pharmaceutical and Sugar industry world wide. Chuck's company has always been moving us into the newer forms of communications. 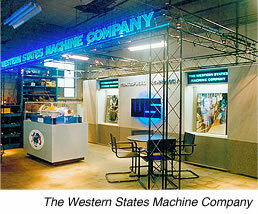 William B. Eckstein Vice President, Sales, Western States Machine Company, Hamilton, Ohio"